now home to restaurants, galleries and shops. Get a panoramic view of the city from the imposing CN Tower. Manolo fans will want to check out the unique Bata Shoe Museum, where you'll find the socks of Napoleon Bonaparte. With dozens of farmer’s markets, cultural fairs and the Toronto International Film Festival, tourists are invited to blend in and enjoy Toronto's joie de vivre lifestyle. The huge ethnic diversity of Toronto (locals speak over 100 languages here) led to development of vibrant culture centers such as a massive Chinatown, and the ubiquitous supply of ethnic restaurants have led to Toronto's reputation as a city for foodies. upper 70s (24-26C) and the whole city pours outdoors to eat, dance, parade and listen to live music under sunny skies. If crowds (and high-season prices) aren’t your thing, a visit during late spring or early fall will get you pleasant, warm-enough-to-not-need-a-parka temperatures and a few bargains on hotels. Lots of big family attractions near downtown: hockey hall of fame; aquarium; baseball- and really great food all round. Be aware many things and places are underground and that can be disorienting at times. The food at every place was always fantastic and tons of vegan and GF and lots ad awesome healthy choices. First 3 day trip to Toronto was at least 12 yrs ago, when I found a $300 round trip flight from San Francisco. I stayed here first and last nights, and drove to Niagara Falls on the second day. I fell in love with Toronto! Multi-cultural, amazing food and hospitality, and lots of family friendly things to do. I can't wait to go back. Had a great time in Toronto. Love that they have bikes for you to bike around the city. Lots of things to do around the city. Would recommend you checking out the Royal Ontario Museum while you're there. It's incredible how friendly most people are. Relaxing and the city is well planned out. Loved this place, walking down to the harbour each evening, to soak up the atmosphere, fantastic to people watch, with families walking, cycling, skating, even a wedding party, great fun, dined at the revolving tower restaurant, good evening, took a trip to Niagara Falls, along with the must do boat ride, the view is amazing, and worthwhile getting a little wet. will return. Toronto is fun and modern, with a vibrant downtown and incredibly diverse neighborhoods to explore. The path system that connects most of the downtown area is great, especially in winter. No need to go above ground! Toronto is the most diverse city in the world. It is jammed packed with culture, ethnic and characteristics from all corners of the city. Make sure to check out little Italy, Korea town to even China town. 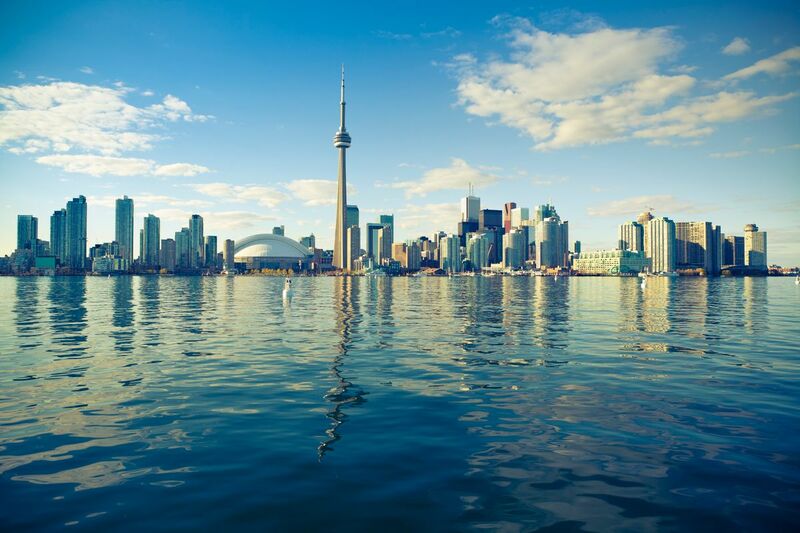 You'll be lostin Toronto's culture and wanting to explore more. Toronto is a young city that's growing ever so rapidly. Like any city, it's got it's fair share of pros and cons. For pros: it's a fairly safe city, it's got hippie places like Kensington Market, there are fun festivals like Nuit Blanche. For cons: it's young, so you don't get that added history like you do in European cities, also the subway system is ridiculously small. If you are going to visit here, explore non-touristy places as well; independent bookshops are fun to explore, seeing a play in a theatre, or just sitting in a café or on a bench at lakeshore or in a park and just people watching. Oh, and another thing, if you really want to have that Toronto experience, pronounce it as Torono, i.e. no second T. You can tell who's really from Toronto when they say it that way.